By Tom Kertscher on Friday, January 13th, 2017 at 5:00 a.m.
Wisconsin Gov. Scott Walker recited a number of statistical accomplishments during his seventh state of the state speech on Jan. 10, 2017, including one that dates back to two decades before he was born. "Property taxes -- as a percentage of our personal income in this state -- are the lowest that they've been since the end of World War II," the 49-year-old Republican said. "Think about that -- since the end of World War II." Cutting property taxes has been a priority since Walker took office in 2011, as is shown on our Walk-O-Meter, which tracks the governor’s campaign promises. We rated Promise Kept Walker’s pledge to freeze property taxes during his first term; and In the Works his promise to cut property taxes so that the levy on a typical home in 2018 is lower than it was in 2010. But on the measure Walker cited, are property taxes lower than they have been in generations? Figures highlighted during a formal address such as the annual state of the state speech are likely to have been well vetted. 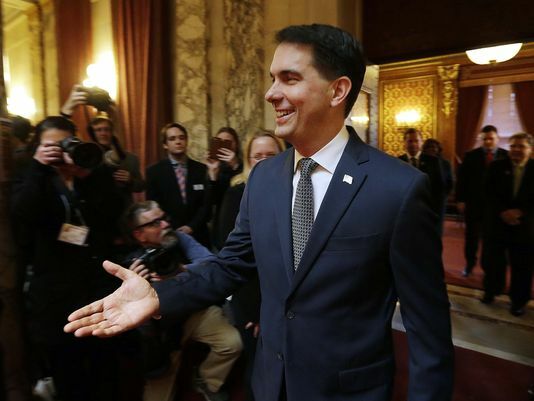 But as we found during our live fact checking of Walker’s speech on Twitter, the governor made some statements that could benefit from clarification. 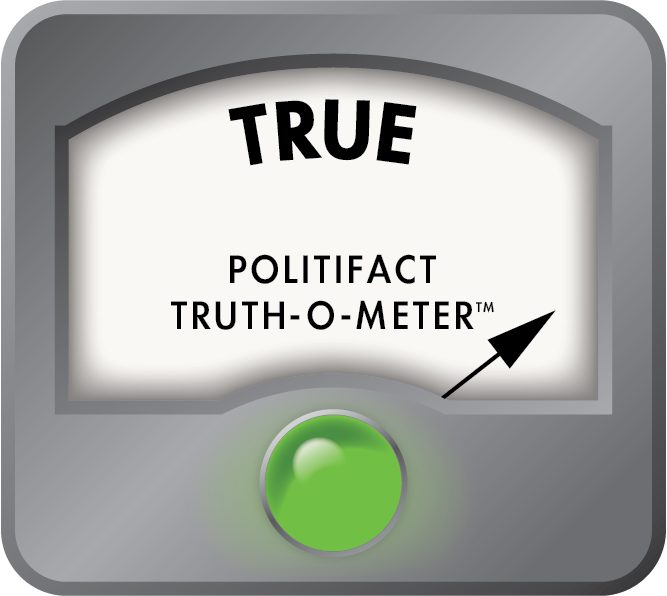 Walker said more people were employed in Wisconsin in 2016 than at any time in history. When that same claim was made in June 2016 it rated Mostly True. But we pointed out economists generally prefer the unemployment rate, which accounts for population growth over time. Walker’s speech also touted listening sessions he has held throughout the state. But as we found in checking an August 2016 claim by a potential 2018 gubernatorial candidate, Democratic state Rep. Dana Wachs of Eau Claire, Walker’s sessions were "invite-only and excluding the press." To back Walker’s statement on property taxes, the governor’s office pointed to a July 2015 memo from the nonprofit Wisconsin Taxpayer Alliance. The memo stated that Wisconsin’s property tax burden was at 3.6 percent of personal income, the lowest since 1946 (when it was also 3.6 percent). The levy was $9.45 billion in 2015 on property taxes payable in 2016. That figure amounts to 3.6 percent of total personal income of $263.3 billion in 2015. Knapp told us comparing property taxes to income is one way to see how much of a take property taxes have on the state’s economy. He said the memo reflects the most recent figures available. Tamarine Cornelius, an analyst with the nonprofit Wisconsin Budget Project, didn’t dispute the taxpayer alliance’s 3.6 percent figure. But she told us one thing to note is that some people haven’t benefited as much from Walker’s property tax cuts. For instance, Walker’s 2011-’13 state budget stopped inflation adjustments for the state Homestead Credit, which softens the impact of property taxes and rent on persons with lower incomes. The program can put more than $1,100 back in people’s pockets through income tax refunds. For 2016, people with a household income of less than $24,680 could qualify for the credits. Cornelius cited figures from the state fiscal bureau showing that the credits have been reduced by $133.5 million since Walker ended the inflation adjustments. That means the money stayed in state coffers rather than being refunded to residents. The office of state Senate Minority Leader Jennifer Shilling, D-La Crosse, also pointed to Walker's budget moves, including limits on how much school districts can levy in property taxes, in noting that more than half of Wisconsin's 424 school districts have passed referendum initiatives since the beginning of 2012. Walker said Wisconsin property taxes, as a percentage of personal income, "are the lowest that they've been since the end of World War II." It’s worth noting that one change Walker made reduces income tax refunds given to lower-income taxpayers through the state Homestead Credit, which is aimed at softening the impact of property taxes. But an analysis by the respected Wisconsin Taxpayers Alliance shows that on the measure Walker cited, property taxes are the lowest they have been since 1946. Published: Friday, January 13th, 2017 at 5:00 a.m.